The Vicar at that time was the Reverend Thomas Frederick Hobson. 800 copies of the magazine were printed. In his January 1915 letter he wrote "What is the root-cause of this war which has brought such wide-spread suffering and distress? Simply selfishness - action on the principle of 'everyone for himself', and who of us has not cause to own, with shame and humiliation, the extent to which that same principle governs his own aims and actions?". In the January Intercessions it is interesting to note that for the first time our airmen are included alongside our soldiers and sailors. In his February letter he writes "The War had lasted for five months before it caused a permanent break in one of the many home circles of Letherhead form which sons had gone forth at their country's call. And then almost at once we learnt of the death of three of them, while on active service. all will feel the deepest sympathy with the parents of Albert Bennett, Edward Ireland and Victor Wright, who have given their lives in the cause of Right and Freedom, for the safety and honour of their native land. who is personally supervising orders.". He died of pneumonia in a Naval Hospital in 1920 and is on the Town War Memorial. The Vicar desires to call attention to the fact that it is quite impossible to keep the lists which he publishes monthly of those who are serving in His Majesty’s Forces even approximately correct without the help of their relatives and friends. He will accordingly be most grateful if any names which have been omitted may be sent to him by any one who notices their absence from the lists—Christian names as well as surnames should be given ; the name of Ship or Regiment and Battalion should be clearly stated : also it should be stated—so far as may be known—where the man is at present serving. He also desires to be kept informed of any alterations which ought to be made from time to time in the lists as they stand at the moment. Any who are willing to take Boxes for Lent Savings in aid of the Church of England Waifs and Strays Society are requested to communicate with the Vicar or with Mrs. Maw, Homefield. CHURCH LADS’ BRIGADE AND INCORPORATED CHURCH SCOUTS’ PATROL. The Annual Distribution of Medals, etc. took place at the Drill Hall, on Monday, February 15th, when there was a large parade of members under Captain B. C. Stenning, and the proceedings were watched with interest by many parents and friends of the two organisations. After the whole body of lads had been inspected by Mr. H. H. Gordon Clark, of Mickleham, there was a demonstration of company and physical drill in which a high standard of smartness was reached. 1st Prize for Shooting. Corpl. Bevand. 2nd Prize for Shooting. Corpl. Abell. Ptes. Coleman, R. Gutsell, G. Read and T. Read. 2nd Class Medals. Ptes, Clarke, Collis, Simmonds and C. Tudgay. 1st Class Medals. 1st Guides Brooks and Otway. 2nd Guides L. Gutsell, T. Lewis and D. Read. 1st Guides Powell, S. Richardson and Simmonds. 2nd Class Medals. 2nd Guides Blunden and R. Tudgay. Mr. Gordon Clark afterwards addressed the lads, enforcing some sound lessons from the present war and the needs which it sets before us. Mr. Gordon Clark spoke about patriotism, and mentioned how the C.L.B. and Scouts had risen to the occasion and had offered to the Country its discipline and loyalty; he also spoke about the need for true religion without which there can be no true patriotism, and no true service of one’s King and Country. In illustration of what he said he mentioned some most impressive incidents of recent occurence, and closed by asking for three cheers for the Captain. The Vicar, in thanking Mr. Gordon Clark, mentioned the C.L.B. Battalion of the King’s Royal Ride Corps in which Mr. Johnson is now serving. After “ God Save the King ” had been sung, a guard of honour was formed through which Mr. and Mrs. Gordon Clark passed on leaving the Hall. LETHERHEAD BELGIAN REFUGEES AID COMMITTEE. Thanks to the liberality of the people of Letherhead, the local Belgian Refugees Aid Committee have been able to make full use of the three houses so generously lent to them rent free by Mr. Bulpin, Mrs. Sackville Davis, and the Chitty Trustees—with the result that there are now between 25 and 30 Belgian Refugees receiving the hospitality of our town. Please forgive me for asking you to be my interpreter and to convey to your Committee all our thanks and our deep gratitude for the very kind and cordial welcome we have found in Letherhead. I was too much moved, at the time of our arrival, to be able to express to those ladies, who had bad the charming and delicate thought of waiting for us, all our sentiments towards them and towards the inhabitants of Letherhead for their generous idea of welcoming into their midst the unfortunate Belgians exiled from their country. Under the present circumstances our house here is in our eyes a real palace, where nothing is wanting—not even our glorious Flag that we cherish so dearly, nor the portraits of our King whom we adore, and of your King who personifies so well the sentiments of your noble Nation. Pray believe how deeply all these attentions have moved us, and please convey our gratitude first to your Chairman and then to all those who have assisted him. The Committee feel sure that those who have supported them by their gifts or personal services will be both interested and pleased to learn that their efforts have enabled our town to take its proper share in affording help to the Belgian people to whom every Englishman and Englishwoman owes so much. February, 1915. Letherhead Belgian Refugees Aid Committee. THE BISHOP'S LETTER TO THE DIOCESE. Easter is coming and we must be ready for it, though to write about it in Lent is hard, and especially in such a Lent as this. But one great thought stands out clear: one great truth comes to us again with fresh power as we move through Passiontide to Easter. We shall have passed in thought and contemplation through the darkest of all hours: we shall have seen the greatest of all tragedies, the defeat and failure and catastrophe of what seemed best and fullest of hope. We shall have looked on the Cross and Death of the Prince of Life. We shall have faced the worst. But with Easter comes the burst of light: of light and life. Out of the worst has come the best. In the black heart of suffering He has sought and found the secret of redemption, of life and victory. That way He has achieved God's purpose: that way He has carried through man's work. Therefore for all time the Cross of Agony has become the source and symbol of hope and conquest; it is a fountain of peace; we lift it up before God, as in our Easter Eucharist, with a trembling but triumphant joy. For the Cross is no isolated event; it is a key to life. As it was with the Son of Man, so it is in a measure with the sons of men, with the world, the nations and the Church. This is the truth for us, this Easter, 1915. It comes in the darkest hour of the modern world, amidst the collapse in blood and ruin of what we thought our noble fabric of civilized peace. It comes to innumerable people and homes, British, French, Belgian, Russian, and German, where a few months ago all was quietness, health, peace, love, and happiness, and it finds in them the shadow of sorrow, the destruction of hopes built on young ones' lives, darkness, anguish, and the shadow of death. Blacker things could hardly be - the volumes of physical agony, the intolerable loneliness and indignities of imprisonment, the reprisals and counter-reprisals, death and hunger: the worst things yet of cruelty and falsehood and hatred. Yet let Easter speak. "Thanks be to God which giveth us the victory through our Lord Jesus Christ." Love is stronger than death. God's purpose goes on through the awful hour, which is the power of darkness. It goes on; it will accomplish and achieve, and by that way - the only way - He will bring us on to where He would have us be. Here is our hope for the world, for our country, and for the homes and lives upon which the shadow lies, or will lie. Only we must share with His sorrow. The more truly we take upon our hearts, and bear in our prayers, the great misery of the world, the more we shall understand and receive the Easter Blessing. It is impossible not to observe, as one reads the newspapers and the like, a double uneasiness - both parts of which touch us English Church- people very closely. There is uneasiness as to whether the nation, even now, adequately faces the magnitude and significance of the present struggle, and the enormous issues which depend upon it. There is also uneasiness as to whether our Church, or Christians generally, are doing their due part in guiding the mind and conscience of the people about it. I have not time or space to write at any length about this. But I want to draw attention to it, and to ask people to face it in thought and prayer. For it quite certainly means something - perhaps much. As regards the nation the trouble is no doubt due in part to the strange combination (itself the result of our island position and the great service of the Navy) that while the "sword pierces" hearts in almost every place and neighbourhood, yet life goes on so calmly and prosaically. As regards the Church it is due perhaps in part to the difficulty of at once throwing our whole hearts into the patriotic support of a righteous war and of our brave and beloved men who are fighting it, and meanwhile pondering sufficiently on it as a great ebullition of the world's evil and a great chastening dispensation of God's just providence: and watching against the great temptations which it brings to vindictiveness, or boastfulness, or hatred. But at any rate the uneasiness calls us all to think and pray more. For there is nothing worse for Church and Nation than "not to know the day of its Visitation." Whatever is wrong with us, the one certain remedy is to be found in a strenuous effort of faith to keep looking at the whole matter in the light of God. That stirs equally imagination, and conscience, courage and sympathy, and godly fear. That and that alone is the way in which we may find in the midst of this enormous evil the good which God means (if we will let Him) to bring out of it for us. May I say how grieved I have been to hear from several places of little general response to the summons to prayer for the War, and even of a falling off from what there was at first? And then, to end with something brighter, what wonderful things come from the front where men fight, and suffer, and die. Take (to give a single instance) the case of the officer who, going out as a professed atheist, is brought by his task of censoring the letters sent home, and by what he reads in them, to recognize that religion is the one thing that is solid and worth having, to make the surrender of faith, and ask to be confirmed. THE KENSINGTON RIFLES (13th Bn. London Regt.) and Y.M.C.A. During the stay of the Kensington Rifles in Letherhead, four weeks in March, a Canteen and Recreation room was opened for the men in the Institute by kind permission of its committee. The initial arrangements were made by the energies of Mr. Bond, the Chaplain of the Grey Brigade, of whose four Battalions the Kensington Rifles form one, and of an Organizing Secretary sent down by the Y.M.C.A. : and were carried out with the utmost thoroughness and efficiency by Miss Treen Hunt and a Committee of Letherhead ladies. Six of these, Miss Hunt, Miss Bannister, Miss M. Henderson, Miss Sharpe, Mrs. Chetwynd-Stapylton, and Miss Woolf, were in attendance for a portion of every day; and forty other ladies gave their assistance from time to time. Many others very kindly offered their help; but owing to the uncertain duration of the stay of the troops, whose date of departure was several times altered, it was not found possible to make further arrangements. The amount of work which fell on the shoulders of those who managed this canteen, and especially on those of Miss Hunt, was very heavy indeed: but the result of their labours was very greatly appreciated by the men, for whose comfort they were undertaken, and who expressed their gratitude in the warmest terms. There is no doubt that the opening of this canteen contributed also very greatly to the general advantage of Letherhead during the stay among us of the Battalion, whose admirable discipline and courteous bearing made a very deep impression in the place. To Miss Hunt's untiring energy and enthusiasm our gratitude is mainly due: and great thanks are due to Miss Woolf for her activity in collecting so much for the Association. Donations were kindly given [by the following] amounting to £20 13s 6d. With the exception of a small amount due to Grantham for the removal of pianos, and to the Institute for delapidations, the 'canteen and refreshment room' has, in consequence of the above-mentioned donations, paid its way. As the war goes on our anxieties and sorrows increase. Of those who have gone out from this place on active service the number which is exposed to immediate risk of life is ever growing: we have lately heard that three more of our younger men have been wounded, though none, I trust, dangerously: and the deaths of Capt. Finké, of Frederick Cobbold, and of Lewis Long in action near Ypres have brought grief to three more of our homes. The list of those who have joined His Majesty’s forces in the defence of their country has been lengthened, and there are few among us of military age who have not responded to the nation’s call in her need for men to fight, or to supply the require­ ments of those who are in the fighting line. The work of this Association has been carried on during the last seven months by Nurse Rodgers, owing to Nurse McKenna being now employed in working for the Red Cross, as the Committee unanimously agreed several years ago that she should be allowed to do, supposing such a national crisis should arise, as unfortunately exists at present. It is satisfactory to know that when the Inspector of the Queen Victoria Nursing Association visited Letherhead in March, and inspected Nurse Rodgers’ work, she expressed herself as being greatly pleased with the way in which the work was being done; and also said that Letherhead was very fortunate in having found such an able substitute, many districts being now without nurses at all, owing to the heavy calls made by the War. Nurse Rodgers will take her holiday this summer from July 3rd to July 19th. Ada H. Grahame, Hon. Sec. PENNY FUND FOR SICK AND WOUNDED SOLDIERS. Those who contributed to this fund will like to know that the sum realised by the house to house collection, undertaken by Mrs. Wynne, amounted to £20 8s. 6d., which is almost equal to a penny from each inhabitant of the Parish. Captain Richard Fenwick Finké, while leading his Company of the 2nd Battalion Royal Sussex Regiment into action, was killed near Ypres, on May 9th. He was the second son of Mrs. Finké of Highlands House, Letherhead, for whom and for her family the deepest sympathy in their great loss is felt by all who live here. Captain Finké is the sixth of those from this Parish who have given their lives on behalf of the safety and honour of their country in this war. R.I.P. THANKSGIVINGS AND INTERCESSIONS FOR JULY. 1. For the preservation of our land and people from many perils of war, and the failure so far of the enemy’s attacks. 2. For the courage, self-sacrifice and readiness for service, shewn by our men, and shared by our women. 3. For all the cheerfulness under hardships in training and in the field. 4. For the union of our Statesmen in common counsel for the country’s guidance and preservation. 1. That Thou wouldest take into Thy hands our cause in this war, and if it be Thy will bring us through speedy victory to a righteous and lasting peace. 2. That as a Nation and as individuals we may bear ourselves with unflinching courage and patience in this great emergency, and be at peace among ourselves. 3. That using every effort of national strength and ability that is in us we may lean continually upon Thee in fervent and prevailing prayer. 4. That there may be given to us, and to this Thy people, clearness of spiritual vision, that we may receive what Thou wouldest have us to learn. 5. That we may have grace to pray for our enemies who despitefully use us", and to desire the day of reconciliation. 6. That Thou wouldest take away bitterness and hatred out of their hearts. 8. That Thou wouldest give to our sailors, soldiers, and airmen, and to all Thy people, the courage of a true heart and a humble faith. 9. For the sick, the wounded, and the dying, and for the doctors and nurses who minister to their needs. 10. For those whom Thou hast taken to Thyself, that Thou wouldest have them under Thy keeping in peace. 11. That the sufferings of anxiety and bereavement may be sanctified by faith in Thee, and that they may be sustained by a hope full of immortality. 12. For the men who are preparing to fight, that they may be temperate in all things and have a heart right with Thee. 13. That the prisoners of every nation may find comfort amidst the loneliness and hardships of their exile, and know the blessings of Thy presence. 14. For the Chaplain-General of the Army, the Chaplain of the Fleet, and all who under them minister to the Forces abroad and at home, in sickness and in health. 15. That Thou wouldest enable us to recover for Thy Belgian people their freedom and their homes. 16. That the rulers of neutral nations may behave themselves wisely and justly. 17. That the hindrance and scandal of the war may turn by Thy grace to the greater furtherance of Thy Kingdom and Gospel through the world. 18. For our brethren in the Welsh Dioceses, that Thou wouldest order for them what is best. 19. That the custom of united prayer in families and households may become again more general among us. A PRAYER FOR PRISONERS OF WAR. Let the sorrowful sighing of the prisoners come before Thee, O Lord Our God; and look in pity at this time on our brethren who are held captive in foreign lands. Be Thou their stay in days of loneliness and pain; give them patience and a sure hope in Thee; and speed the hour of their deliverance; through Jesus Christ Our Lord. Amen. A CALL TO PRAYER AT 12 NOON EVERY DAY. Remember in Prayer The King and all in authority. Our sailors, soldiers, and allies. The Lord our God be with us, as He was with our fathers. SAND-BAGS—AN URGENT NEED FOR THE ARMY. SOMETHING WHICH MOST OF OUR WOMEN CAN DO TO HELP. It is doubtful whether anyone not actually in the Field at all realizes what the sand-bag means to the soldier in the firing line, or how urgently millions and yet more millions of sandbags are needed to stem the casualty lists, for enough are not being sent. An Infantry Lieutenant writes : “We want a tremendous lot of sandbags. Our Division alone has been using a million a month. Here is something which can be done to give direct sorely-needed aid in the war, and to protect the lives of the men who are risking theirs in order that ours may be secure. And there must be very many women in Letherhead who are longing to do something definite for the country; or, in many cases, who are willing to do something more than they have already done. It would be impossible to exaggerate the need of these sand-bags and the value of them when they are provided. I am confident that the women of Letherhead, from which over 400 men are serving in H.M. Forces, and more than 140 have been in the fighting line by sea or land, will do all that is possible to meet this most imperative need. To be of any use these bags must be made of the right material, must be of the correct size, and must have strong work put into them. They have to be used like bricks for building purposes, and must therefore be all of the same size 33 inches by 14 inches: the material must be Hessian, and they must be sewn with twine. They must open 3½ inches on the seam side, where 30 inches of rope string must be sewn in for the purpose of tying them. Up to now much good work has been wasted through the use of unsuitable material, and through carelessness in measurement. In order to avoid such loss of time and money, Mrs. Trebeck will supply and cut out material for anyone who is willing to make these bags at the rate of 6d. a bag. She will also provide any number of patterns. Her workroom at Leith House is open at all hours, and she will forward the bags, when made, to Miss Tyler, who is organizing this work on behalf of the War Office. I appeal to the women of Letherhead to “do their bit” in this way now, before it is too late. And of those, who really are unable to undertake the making of bags, I would ask that they would give the money for as many bags (from one at 6d. upwards) as they can possibly afford. Contributions for this purpose may be sent either to me at the Vicarage, or to Mrs. Trebeck at Leith House. The Distinguished Conduct Medal has been awarded to Capt. G. Le Blanc Smith, of Wrydelands, who, until last year when he went out to take up farming in East Africa, was a Lieutenant in the Surrey Territorial Regiment. At the beginning of the war Capt. Le Blanc Smith, who had quite recently arrived at Nairobi, enlisted as a trooper in Bowker’s Horse. During an engagement with the enemy at Longido, one of the troopers of his squadron was wounded in the head. Capt. Le Blanc Smith and a comrade got the wounded man, who was unconscious, on to a mule. They had to hold him on, and lead the mule across some 200 yards of open country, before they could bring him under cover; while the Germans, posted about 250 yards away, kept up a continuous rifle fire on them the whole time, fortunately without hitting any of them.Early in the present year Capt. Le Blanc Smith received a commission, and is now serving in the Police Service Battalion. The Military Cross has been awarded to Capt. J. Dare, of the Loyal North Lancashire Regiment, who, though not fully recovered from the effects of a severe attack of blackwater fever incurred early last year in West Africa, was on active service with his Regiment in Flanders during the winter and spring, and was recently invalided home. It will be remembered that Capt. Dare was married to Miss Gertrude St. Clare Hill at the end of May; and their many friends will rejoice to hear of the distinction which he has gained, and that he is now able to report himself as tolerably fit for service again. Among those “Mentioned in Dispatches” in the Gazette of June 22nd is Lieut. W. G. Chapman, 2nd Bn. Gloucestershire Regiment. His brother, Lieut. H. E. Chapman, R.F.A., obtained the same distinction earlier in the war; as also did Col. Sir Wm. Leishman, C.B., R.A.M.C., and Sergt. R. C. Scarterfield, 15th Hussars. The Victoria Cross has been awarded to 2nd. Lieut. J. H. Woolley, of the Queen Victoria’s Rifles (T.F. ), “for most conspicuous bravery on Hill 60 during the night of April 20th, 1915,” when being the only officer on the hill at the time, and with very few men, he successfully held his trench against heavy shell and machine-gun fire, until relieved. Lieut. Woolley, though not strictly a parishioner of Letherhead, was educated at St. John’s School: leaving it in 1912 as a Classical Scholar of Queen’s College, Oxford. He is the first member of the Territorial Forces to receive the V.C. *Chapman, Lieut. H.E., R F.A. Hill, W.T., Canadian (Ft. Garry) Ct.
Thorne, E.A., A.S.C. Motor Transpt. Wrinch, Lt, H.S., City of London R.F. *Chapman, Lt.W.G., 2nd Gloucestersh., returned invalided to England. ^Dare, Capt. J., Loyal North Lancs., returned invalided to England. Friday, P., 1st East Surrey, returned invalided to England. Roberts, E. J., 2nd Manchester, returned invalided to England. 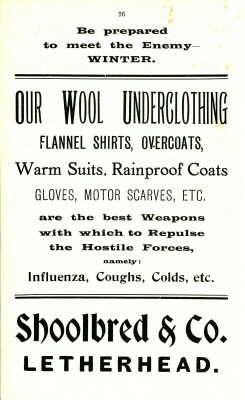 Shepherd, E., 3rd Manchester, returned invalided to England. Baker, J., R.E., returned wounded to England. Cook, R. T., 5th Royal Fusiliers, returned wounded to England. Gibbs, A. J., 1st East Surrey, returned wounded to England. Holder, W., Lce.-Cpl., 1st East Surrey, returned wounded to England. Redford, F. H., 1st Coldstream Guards, returned wounded to England. Watkins, F., 20th Hussars,, returned wounded to England. Summersby, A., R.E.,, returned wounded to England. Horne, T., 1st Rifle Brigade, prisoner in Germany, wounded. Ward, Capt. H. E., Buffs (attd. K.R.R. ), prisoner in Germany, wounded. B. In H.M. Regular Forces not at present at the Front. Coleridge, Lt. G.C., 8th South Staffs. Cooke, A.H., 19th Bn. Canadian Ct.
Gowan, A.G., Army Vety. Corps. Jeffrey, S., A.S.C. Motor Transp. Read, F.G., 2nd Sportsm. Bn. R.F. Read, L.D., 2nd Sportsm. Bn. R.F. Rowe, Lieut. F.G.C., 7th York & Lancs. Sherwood, H., 5th Norfolk Regt. Smith, F., R.G.A. Smith, F.J., R.F.A. WHAT WIVES AND MOTHERS CAN DO IN WAR TIME. We have come to the parting of the ways. England can never be the same after the war as she was before it began—very much must be different. And what are we called upon to do? Everywhere we see notices telling the men that their country needs them to fight for Truth and Justice—to help the weak—to uphold the honour of the Empire-but surely the country does not need its men only, but its women too, While the men are fighting abroad, we, the women of England, are to uphold the honour of the country at home, and by honour, we mean amongst other things the good name. How about the good name of England to-day? We know that it is not all it ought to be. How much there is of forgetfulness of God, of His Word, of His Sacraments—how much we hear of drunkenness and impurity. So the war is sent, as it were, as God’s searchlight, to show us what is wrong, and what wants altering. If England is to be raised and purified it depends very largely on us—for a nation is made up of individuals. If we are to uphold the honour of the country we must uphold our own honour, that is our good name, and show what every good women should show, gentleness, purity, sobriety, unselfishness, love, courage. And then the crowning honour of womanhood is Motherhood. It is so wonderful, that under God, the parents should be creators, should bring into the world undying souls to be trained for God and Heaven. So our good name as Mothers has to be kept up, we must try to be all that God means a Mother to be. For if England is to be raised, it must be done through the homes. All reform begins there where character is formed, where the lessons are taught of self-control and obedience. This war warns parents to train their children while they are young, so that they may be ready for any call that comes to them in later years, for the children would not be brought into the world if God had not a great work for them to do. So while the men are away, let us get ready for their return. We often hear how different many of them are, how impressed they are by religion; and many will come back solemnized and softened and ready to be more religious. But if we and the homes are not holier and higher the men will soon drop down again. We as wives and mothers must try at this time to help the weak—especially to do all we can for young girls, to raise their tone and shew them how they can help the men to be true soldiers—speaking to them of the wonderful influence they have over every man they have to do with—for we want our men to go out with a high idea of womanhood. In the old days when Knights went out to battle, women buckled on their armour, and in the fight men remembered the good women at home, and it kept them pure and strong. Our greatest work is raising the country in Prayer. An army of brave men is fighting across the sea, there should be an army at home praying. Every day at 12 o’clock each one of us should pray for our men—they expect it, and they want it. The Intercession Services should be largely kept up by the Mothers’ Union, for if we are not praying for our own nearest and dearest, we are praying for other Mothers’ sons—for all Soldiers and Sailors, Chaplains, Doctors and Nurses—for those who bear rule—for the sick, the wounded and the dying—the departed—the prisoners—the anxious and bereaved—for all fathers and mothers. This is a good time to begin family prayers if possible, perhaps once a day in the evening. There is an enormous work for us to do. Let us rise up and do it, trusting in the strength and help of God. Let us, in conclusion, remember these words. I can’t do everything but I can do something— What I can do, I ought to do. LETHERHEAD BELGIAN REFUGEES AID FUND. As Chairman of the local Committee, I have been asked to write a few words of introduction to the following account of the visit of three members of the Committee, to the Belgian Relief centres at Aldwych and Earls Court. This account has been printed and sent to all subscribers, as we feel that it shows the urgent necessity of our work and thereby justifies the appeal we are making to the inhabitants of Letherhead. Thanks to their generous support, we have been able to increase steadily the help given to homeless Belgian refugees. In November last we began with one family of 6 Belgians, but this number has gradually grown till at the present time we are housing and keeping 50 refugees—either in houses lent to us for the purpose, or in lodgings taken by the Committee. The need is great and will become greater, for many Belgians who at the beginning were in possession of money that they had managed to bring over with them, have by now spent their money, and are literally destitute. We therefore look to our subscribers for continued support, so that our work may be not only not curtailed, but even extended. (Chairman of the Letherhead Belgian Refugees Aid Committee). and who were delighted at the prospect of living in the country. From Aldwych we went to Earl’s Court to enquire for 4 soldiers’ wives to go into the house in Bridge Street. We went to the office to make our application, but could not be attended to, as the officials had their hands more than full in dealing with a draft of 500 Refugees coming in at the moment. We were told they had all to be searched and classified, before they could be placed. We watched the stream of people arriving from the Underground Station. All were ticketed with pink labels, and were carrying their belongings—children with their toys and dolls. It was most pathetic to see this crowd of homeless people, and made us wish it were possible to take many of them back with us. Earl’s Court is an ideal place for the peasant class. Many of the large buildings of the Exhibition have been transformed into places for their accommodation, and the spacious grounds give a feeling of room and air, The small lake near the entrance has been partly drained, and numbers of children were playing on the sand which was left. Afterwards we went into the creche, a beautifully kept place, where we were introduced by a Belgian woman to “Two little twins, just comed”—such dear little babies! Letherhead Belgian Relief Fund will continue to do their best for these homeless people, whose nation has done so much for us. (Signed) EDITH E. WANKLYN, ELIZABETH L. MAW, K. O. MOORE. The Vicar hopes that all who can will get a copy (price 1d.) of the report of Lord Bryce’s Committee on the German outrages in Belgium and Northern France, in order that every one may realise the awful conditions from which our sailors and soldiers are defending us, and the absolute necessity of strengthening their hands in every possible way. In can be ordered from Wyman, 29, Bream’s Buildings, Fetter Lane, E.C., or through Messrs. W. H. Smith & Sons at the L. & S.W. Railway Station or Mr. Clarke, Bridge Street. We are just entering upon the second year of this terrible war. And it is surely being brought home to us all that the task before the nation,— that is, before each one of us,—is infinitely greater than it appeared, except to a few, a year ago. Our soldiers and sailors are fighting for us, enduring incredible hardships for us, dying for us, in order that, as one of them recently put it in writing to his mother, “you and my sisters may not be treated as the Belgian women have been.” But for their courage and self-sacrifice, we all in England would certainly suffer from the ruin, and outrage, and slaughter which have devastated Belgium and Northern France and Poland. There are many among us at home who do not seem, even now, to realise that fact, in spite of all that is told us of German cruelty, and of the bitterness of German hatred against our country; and who do not yet understand that, unless the Allies are victorious, that dreadful fate will certainly overtake us. But it is clear that, if victory is to be attained, greater efforts than have yet been made are essential on the part of all. What are we at home doing? That is the question. Many are doing very much: too many, it is to be feared, are doing little or nothing, simply becanse they do not realise that it is on their efforts, as well as on the endurance of those at this moment actually in the fighting line, that the issue depends for the safety of our country now, for its welfare in the future; that is for the safety and welfare of themselves, which are bound up with those of their country. “3. But prayer and penitence must lead to service. ‘I am among you as he that serveth,’ was Christ’s own declaration, and it sanctifies the great appeal made to the nation to day for universal voluntary Service. ‘Am I making what I can out of the war?’ or 'Am I giving all I can for the good of the common cause?’ It is the answer to these questions which mark off a traitor from a patriot. The lads at the front are doing their bit. What is my bit? And am I doing it?" Prayers for Daily Use at the Present Time. A Prayer for Penitence. Forgive me, O God, all the sins and selfishness of the past; and give me grace to repent and lead a more useful life; for Jesus Christ’s sake. A Prayer for the Wounded and the Mourners. O Lord, send Thy healing grace upon the wounded, and pour Thy comfort into the souls of the mourners: give them both a warrior’s mind until the day dawn and the shadows flee away; through Jesus Christ our Lord. A Prayer for the Nation. Stir up, O Lord, a spirit of service throughout the country; may the soul of the nation respond to the call to sacrifice; and help me to play a worthy part in this Great Day; through Jesus Christ our Lord. In addition to the weekly Bible Class and Drill there have been several other parades during the last two months. On Whit-Monday, the Brigade and Scouts took part in a Battalion Parade and Field Day at Cranleigh. After a short service in Cranleigh Parish Church various drill movements were practised in an adjoining field; and after the lads had had their dinner they marched to Smithwood Common, where a short skirmish took place under the supervision of Lt-Col. Tapp. The lads on parade were afterwards entertained to tea by the Cranleigh Company. The Letherhead contingent came home via Guildford, where they were able to spend a short time. Each month the C.L.B. members shoot for a small memento, and on May 28th this caused special interest, as Lc.-Corpl. Bran and Pte. Coleman tied three times, and finally Lc.-Corpl. Bran won by one point. On Sunday, June 20th, a Church Parade was held at Christ Church, Epsom, and the lads were afterwards inspected by Mr. Braithwaite in his grounds. On Wednesday, June 23rd, as the C.L.B. and a few Scouts were marching through Cherkley, Mr. Petersen very kindly invited them to have some light refreshments as they passed the house. It was with very great surprise and pleasure that we found, when we arrived, that Mr. and Mrs. Petersen had arranged to entertain us on parade in a most delightful manner, and it was after 10 o’clock before the march homewards was commenced. The Company’s best thanks are due to Mr. and Mrs. Petersen, not only for that evening, but'also for permission for the Brigade or Scouts to use their grounds at any time. On Tuesday, June 29th, we were very much pleased to welcome Mr. Pitts at our drill, and the opportunity was taken of presenting him with a small gift which had been subscribed for by the members, as a little acknowledgment for all he did for the C.L.B. and Scouts. After drill, several of the members escorted him back to Effingham, where he was staying. On Sunday, July 4th, the C.L.B. attended a Church Parade at S. George’s Church, Ashtead. On this occasion, the Red Cross Detachment, under the command of Dr. Dove, also paraded. Owing to shortage of Officers for the Scouts it has been difficult to fix up Evening Parades, and therefore Capt. Stenning has taken the Patrol out on Saturday' afternoons. These Parades have been voluntary, and each boy has had to bring his own food for tea; but the attendance has shewn that these outings are enjoyed. It must be stated that they are parades and scouting exercises, and drill takes place. It has been a great pleasure to welcome old members who have been home on furlough from the Army; and extracts read out from letters of ex-members to Officers are always listened to with great attention. Owing to a Camp not being possible this year, it has been arranged through the kindness of Lady Margaret Ryder, to spend one night on the High Ashurst Estate, and to sleep in the small Schoolroom up there. Miss Leach has undertaken to collect and forward new laid eggs every week to the London Hospitals for our wounded soldiers, and would be most grateful for the smallest contribution weekly—from one egg upwards, to be sent every Monday to Vale Lodge, or to Mr. Coles, Chemist, High Street, from whom particulars can be obtained. [National Registration Act 1915: On 15 July 1915 the National Registration Act 1915 was passed. This act required that all men and women, between the ages of 15 and 65 years of age, register at their residential location on 15 August 1915. This laid the foundations for the implementation of conscription and the direction of the civil population into war work. The Registration Forms which we were called upon to fill up on August 15th must have brought home to very many of us one humiliating fact; that is, how very little we are qualified to do that is of use to our country at this time outside the limits of our ordinary calling or work in life. The conclusion, which is surely enforced upon us by the realisation of that unpalatable but salutary truth, is that we are all the more bound to do what little we can; and it drives us back to consider more earnestly those four words of the Bishop of London which I put before you in the last number of this magazine, repent, serve, save, and pray. Repent: definitely and resolutely amend our ways of life : and persevere, by God’s grace, in the better and more unselfish way. Serve: by willingly and cheerfully making every possible sacrifice of time and substance in order to do anything and everything for which opportunity is given us that may help to meet the needs of our country, and of those who suffer both at home and abroad. Save: not by reducing the amount which we have hitherto tried to give for the assistance of those who need, or in aid of good work of any kind for the betterment of the world ; but by limiting, so far as possible, the amount which we spend on ourselves. What can be so saved may be devoted to the use of the country now by subscribing to the War Loan, through purchase of the vouchers still to be obtained at the Post Office. That is the real reason for saving now, that we may at least help the country in one small way which is open to us : the consequence of so acting will be that we shall be in a better position to face the times of difficulty through which we are certain to pass in the near future. The duty of care with regard to expenditure, of prudence in making provision for future possible needs, about which many of us are usually so thoughtless, has very evidently become a definite duty to our country now; and no one can be free from guilt who refuses to recognize that fact, and who is unwilling to make the self-denial which it involves. Pray: we can all do that; and we must do it, if we hope for the welfare of our country and for the success of the cause which we have in hand. We must recognize that the issue is in God’s hands, and that He alone can guide us aright in this time of trial. We must pray to Him for the blessing of victory, for the inspiration and the effort and the perseverance through which alone He will grant it to us, for those who suffer in this struggle to an extent which we at home in England do not in the least realize: and, so praying, we shall ourselves contribute efforts, great or small—all of them count—towards the achievement of the great end which we desire. ANNIVERSARY OF THE DECLARATION OF WAR (AUGUST 4th). Special services were held at the Parish Church, on Wednesday, in connection with the anniversary of the declaration of war. At the evening service there was a very large congregation, including members of the Letherhead Section of the Volunteer Training Corps, under the Sub-Commandant (Mr. G. R. Blades), members of the Letherhead branch of the V.A.D., under the command of Dr. Dove (medical officer). Mr. W. T. Limming (quartermaster), and Mr. S. R. Drake (section leader), and the Church Lads’ Brigade and Scouts, under the command of Captain B. C. Stenning and Lieut. Young. Thirty-two ladies kindly responded to the appeal for sand-bags for the protection of our soldiers at the Front, which was made in the Parish Magazine for August. We are informed that the cost of material, &c., came to about double the amount of the money received. In addition to the contributions above mentioned a large number of sand-bags had already been provided by the generosity and industry of several other Parishioners. Mrs. Davis, of Richmond House, who is nursing in the Anglo-French Hospital at Quimper, appeals for help in providing the following articles which are greatly needed:—Small arm-cushion covers, about 16x12 inches, of unbleached calico or any washing material (they need not be filled, as chaff for that purpose can be obtained in the Hospital), felt slippers (large size), socks, handkerchiefs, scarves, games (especially jigsaws), wool and knitting needles for the men to use themselves. My short leisure this month is greatly taken up in preparing what I have to say at my Visitation, and on the days which I am to spend with our Clergy at different centres for prayer and thought. Will you follow us in this with your sympathy and prayers? Our great desire will be to find how we can be of more help to you at this tremendous time in learning, meeting, and bearing God’s Will for us. (The days, God willing, will be [September 27th, 28th, 30th]; October 1st, 4th, 5th, 15th, 19th; November 4th). But there is one thing which I want so much to say, and which is so deadly urgent that I must just take a few moments to write it. The hour is one of most solemn appeal to the intelligence, conscience and resolution of the nation. We are asked—and it is God in His Providence Who asks it, though men may put it into words—for a great united moral effort in which we can every one have some part. We are asked in the name of those who have laid down their lives in the cause. But ours is a homely part—to live simply, to save, to lend what we can to the nation’s war chest, to reduce what we spend on things for which money has to go out of the country, e.g., tea, coffee, tobacco, petrol, sugar, the disuse or diminution of alcoholic liquor, to add (if possible) to home production; and if any of us make any profits out of the war by higher wages, better employments, separation allowances, billeting, etc., to put the bulk of that into the War Loan. This last will help the nation now, and make the rainy day, the very rainy day, of distress after the war far less serious and intolerable. This is the call. I would rather not judge, but I do hear much which seems to say that people are not understanding, and not doing, as they might. Remember that Germany, by all accounts, is working like one man, throwing the whole of its heart and its wonderful industry into winning the war. Their cause, as we believe, is bad, and it is unthinkable what it would be for the awful spirit of craft, cruelty and ruthless force-worship which has got hold of them really to conquer by their arms. But yet if patriotism, self-denial for the public good, and effort organized up to the very last point, deserve victory,—well, we must be uneasy as we compare, and our most thoughtful people are very uneasy. Read Mr. Lloyd George’s preface to his Speeches (1s.) He is not a Liberal or a Tory: he is just England’s responsible servant speaking to England. But if any of you can afford more time and money, send for the Round Table Review for September, and read the first three or four articles. If they do not make you want to do something I shall be surprised. Let us not judge one another (for nobody really knows what his neighbour is doing or might do), nor grumble about the Government; but let us do, and let us help to make a public opinion through which the nation and all parts of it may become frugal, thrifty, resolute, hard-set against waste and thoughtlessness. Such an effort may not only win the war (which God grant), hut also be an incalculable moral benefit to the nation. Without it victory, if it were possible, might he a curse and not a blessing. And let us pray. One is told that the Lutheran Churches in Germany are full with praying people. One cannot tell. But one knows what each English Parish Church ought to be. How is it? Hodge, Lieut. H. W., R.G.A. Jewell, J. F. R.M.L I. Port, A. J., R.H A. *Chapman, Capt. W. G., 2nd Gloster returned invalided to England. ++ Dare, Capt. J., Loyal North Lancs. returned invalided to England. White, Lieut. C. T. II., R.N. returned invalided to England. Port, J., R.G.A returned wounded to England. Redford, F. H., 1st Coldstream Guards returned wounded to England. Gowan, A. G., Army Vety. Corps. Read, F. G., 2nd Sportsm. Bn. R.F. Read, L. D., 2nd Sportsm. Bn. R.F. These workrooms are now open at 11, High Street (kindly lent by Mr. S. Mould), for the purpose of helping to provide the surgical dressings, bandages, and general requisites for hospitals which are so urgently needed both at home and abroad. Workers are earnestly invited to offer their services, and to send in their names to the Hon. Organizing Secretary, Miss Treen Hunt, Holmesdale, Kingston Road ; to whom also donations and subscriptions may be sent. The need is very great, and even the smallest sums will be gratefully accepted. The workrooms are open daily from 11 a.m. to 1 p.m. and 2.30 to 6.0 p.m. daily, except Saturdays: also from 7.30 to 9.30 p.m. on Wednesdays. FAMILY PHOTOGRAPHS FOR THE FORCES. Mothers who would like photographs of themselves and their children to be taken for the purpose of sending them to the fathers now serving in the Fleet or at the Front are requested to communicate with Miss Brown, Church Terrace. My Visitation of the Diocese—in the very peculiar form which I gave to it at this special time—is all but over. I wish to thank God with you for what I have felt to be a most real and happy opportunity : and then I offer my thanks to the clergy for the way in which they have responded to my invitation, and besides attending in large numbers a section of my Charge, have joined with me in one of the seven Devotional Days for different districts. May much good flow out to us from what God has given us in these times, and especially may we be strengthened to meet more rightly and worthily, and help others so to meet, the tremendous hours of our country’s conflict. I do beseech again all our people whom my words can reach to face with honest conscience, serious mind, and very humble and godly fear, the crisis of our fate that is upon us, and what in these next months, it calls for from us. Never have the scales hung so much in the balance. Great hopes of success are still with us : great possibilities of loss and disaster loom upon us too. God is not going to bring us through this war to victory and peace without having taught us some exceedingly sharp and searching lessons : and without having first made us feel that it is not our skill and wisdom, but His mercy', over-ruling gravest risks, which has saved us. Still too we hear of money spent lavishly and carelessly (and this time not chiefly by the ‘wealthy,’ but by many of the workers) for which a couple of years hence they may be wringing their hands in need. I should like to leave things there. But the war, though the most urgent matter, is not to make us forget all other religious duties, least of all that of our duty to the witness of Christ in the world, and especially to what we call foreign Missionary work. I hope the clergy will apply in good time to the Board of Missions (Church House, S.W.) or to S.P.G. or C.M.S. for papers which will help them to arrange for a real effort, and invite their people, especially their workers and communicants, to make the effort their own. They should not ask too little. Prayer, not money, remember, at that season. Holder, T., 6th Queen’s W. Surrey returned wounded to England. Lewis, W. A., Queen's W. Surrey returned wounded to England. Mrs. Still would be pleased to see any Letherhead soldiers who are home on furlough at an entertainment at The Institute, on Wednesday, December 8th, at 4.30 p.m., if they like to come to Windfield for a card of admission on the day before. Archer, C.E., Royal Fusiliers returned wounded to England. Hodge, Lieut. H.W., R.G.A. returned wounded to England. Jewell, J.F., R.M.L.I. returned wounded to England. Summerfield, V., 8th W. Kent (Buffs) returned wounded to England.